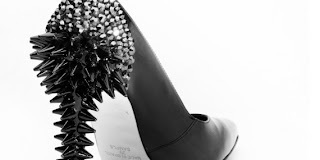 Ruthie Davis, Christian Louboutin, Gasoline Glamour and Balmain, just to name a few are all HWAT designers that are coming out with this season Hottest shoes that are all spiked and studded. 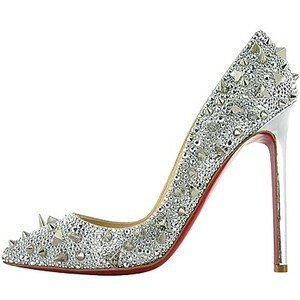 This season is all about glitter, spiked and studded shoes and accessories that I am anxious for 2011 fashion week preview just to see what some of my favorite designers has in store. 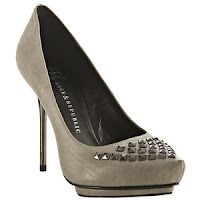 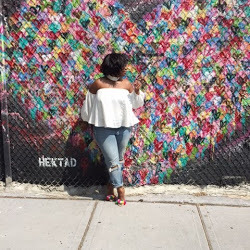 Check out below some of the HOTTEST Spiked and Studded shoes that I need in my life right now. 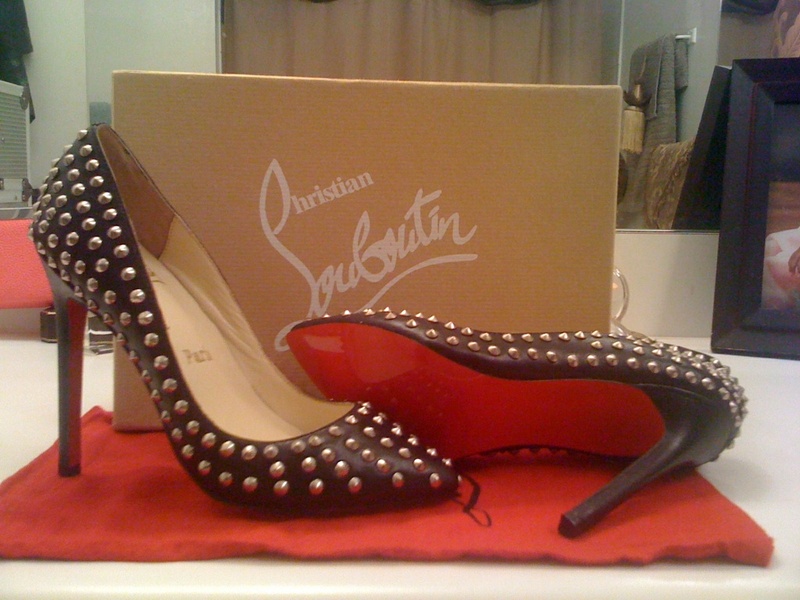 **The other day My friend Monica sent me a picture of her NEW Studded Louboutin shoes (picture below), which are to die for.. Check them out.. "All Studded Red Bottom Everything"